Sunglasses by the brand BULGARI for Women’s sunglasses, with reference S0010818, with a(n) Modern, Elegant, Glam and Female style.Bvlgari 8217B 504/13 55 18 they have a(n) Full Rim frame made of Acetate / plastic with a(n) Squared shape in Havana colour. Their size is 55mm and their bridge width is 18mm, with a total frame width of 73mm. They have Organic, Brown, Gradient lenses. These glasses are suitable for prescription lenses. These are top of the range glasses from the brand BULGARI, made of high-quality materials, modern glasses that will give you a look that matches your image. Buy Bvlgari 8217B 504/13 55 18 sunglasses in an easy and safe way at the best price in our online store. Sunglasses by the brand BULGARI for Women’s sunglasses, with reference S0010775, with a(n) Modern, Elegant and Female style.Bvlgari 8220 501/8G 54 18 they have a(n) Full Rim frame made of Acetate / plastic with a(n) Cat Eye shape in Black colour. Their size is 54mm and their bridge width is 18mm, with a total frame width of 72mm. They have Organic, Gray, Gradient lenses. These glasses are suitable for prescription lenses. These are top of the range glasses from the brand BULGARI, made of high-quality materials, modern glasses that will give you a look that matches your image. Buy Bvlgari 8220 501/8G 54 18 sunglasses in an easy and safe way at the best price in our online store. string(153) "Bvlgari 8220 501/8G 54 18 SunglassesSunglasses by the brand BULGARI for Women’s sunglasses, with reference S0010775, with a(n) Modern, Elegant and F..."
string(140) "glasses woman,modern glasses,acetate,metal,rectangular,brown,woman,rod lens organic,graduating,monofocal,progressive,quality,price,discount." string(25) "Bvlgari 8220 501/8G 54 18"
string(183) "Bvlgari is a synonym of excellence, accuracy and high quality. Its items carry with all these qualities and the final user feels them and transmit them to the world in the same way. 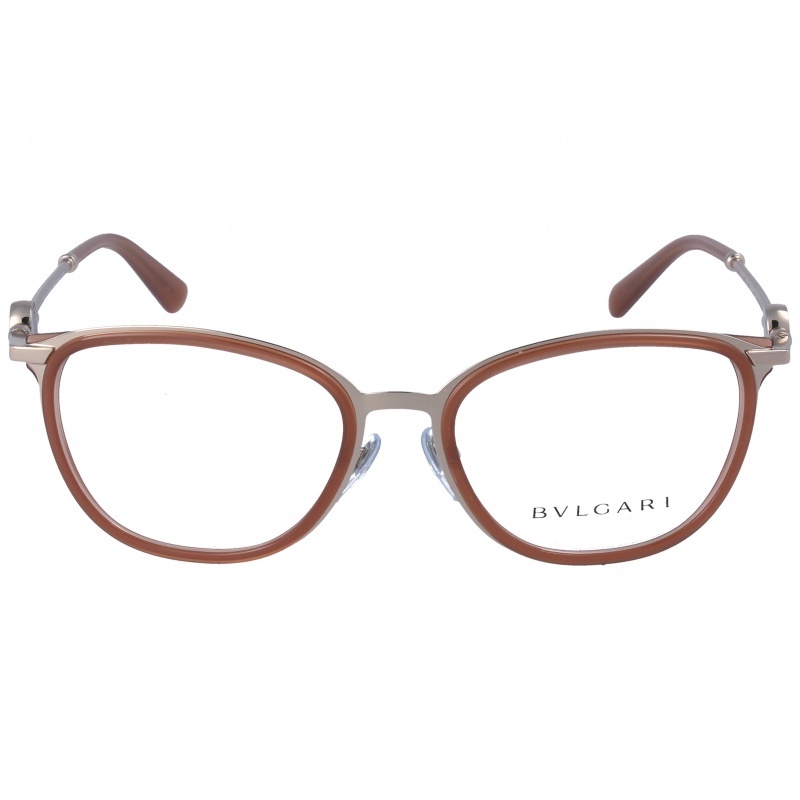 Eyewear by the brand BULGARI, for Eyeglasses for women, with reference M0014236, with a(n) Modern, Elegant and Female style.These Bvlgari 2206 2014 53 17 have a(n) Full Rim frame made of Acetate / plastic with a(n) Cat Eye shape in Golden colour. Their size is 53mm and their bridge width is 17mm, with a total frame width of 70mm. These glasses are suitable for prescription lenses. These are top of the range glasses from the brand BULGARI, made of high-quality materials, modern eyewear that will give you a look that matches your image. Buy Bvlgari 2206 2014 53 17 eyewear in an easy and safe way at the best price in our online store. string(155) "Bvlgari 2206 2014 53 17 GlassesEyewear by the brand BULGARI, for Eyeglasses for women, with reference M0014236, with a(n) Modern, Elegant and Female sty..."
string(23) "Bvlgari 2206 2014 53 17"
Sunglasses by the brand BULGARI for Women’s sunglasses, with reference S0010056, with a(n) Modern, Elegant, Glam and Female style.Bvlgari 6105B 278/3B 62 16 they have a(n) Rimless frame made of Metal with a(n) Square shape in Golden colour. Their size is 62mm and their bridge width is 16mm, with a total frame width of 78mm. They have Polycarbonate, GrayPink, Gradient lenses. These glasses aren't suitable for prescription lenses. These are top of the range glasses from the brand BULGARI, made of high-quality materials, modern glasses that will give you a look that matches your image. Buy Bvlgari 6105B 278/3B 62 16 sunglasses in an easy and safe way at the best price in our online store. string(135) "Buy Bvlgari 6105B 278/3B 62 16 sunglasses. Modern and elegant model. Original product with fast shipping, quality guarantee and refund." string(26) "Bvlgari 6105B 278/3B 62 16"
Sunglasses by the brand BULGARI for Women’s sunglasses, with reference S0010026, with a(n) Modern, Elegant, Glam and Female style.Bvlgari 6102B 20373B 59 17 they have a(n) Semi Rimless frame made of Metal with a(n) Square shape in Brown and Golden colours. Their size is 59mm and their bridge width is 17mm, with a total frame width of 76mm. They have Polycarbonate, GrayPink, Gradient lenses. These glasses aren't suitable for prescription lenses. These are top of the range glasses from the brand BULGARI, made of high-quality materials, modern glasses that will give you a look that matches your image. Buy Bvlgari 6102B 20373B 59 17 sunglasses in an easy and safe way at the best price in our online store. string(135) "Buy Bvlgari 6102B 20373B 59 17 sunglasses. Modern and elegant model. Original product with fast shipping, quality guarantee and refund." string(26) "Bvlgari 6102B 20373B 59 17"
Sunglasses by the brand BULGARI for Women’s sunglasses, with reference S0009979, with a(n) Modern, Elegant, Glam and Female style.Bvlgari 6102B 20146F 59 17 they have a(n) Semi Rimless frame made of Metal with a(n) Square shape in Black and Golden colours. Their size is 59mm and their bridge width is 17mm, with a total frame width of 76mm. They have Polycarbonate, Bronze, MirrorGradient lenses. These glasses aren't suitable for prescription lenses. These are top of the range glasses from the brand BULGARI, made of high-quality materials, modern glasses that will give you a look that matches your image. 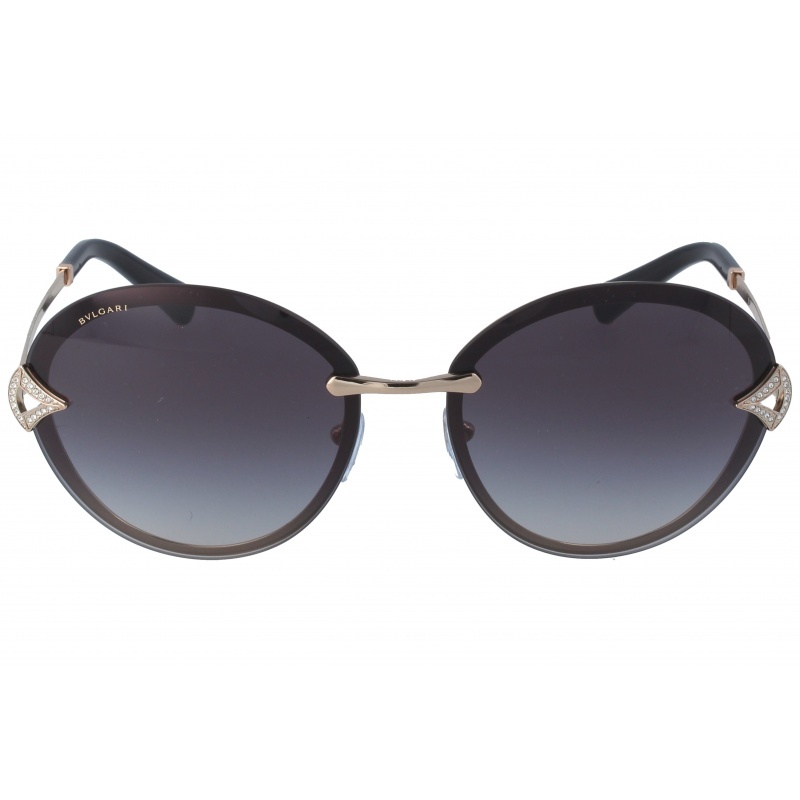 Buy Bvlgari 6102B 20146F 59 17 sunglasses in an easy and safe way at the best price in our online store. string(135) "Buy Bvlgari 6102B 20146F 59 17 sunglasses. Modern and elegant model. Original product with fast shipping, quality guarantee and refund." string(26) "Bvlgari 6102B 20146F 59 17"
Sunglasses by the brand BULGARI for Women’s sunglasses, with reference S0009886, with a(n) Modern, Elegant, Glam and Female style.Bvlgari 6001B 20148G 61 15 they have a(n) Rimless frame made of Metal with a(n) Oval shape in Golden colour. Their size is 61mm and their bridge width is 15mm, with a total frame width of 76mm. They have Polycarbonate, Gray, Gradient lenses. These glasses aren't suitable for prescription lenses. These are top of the range glasses from the brand BULGARI, made of high-quality materials, modern glasses that will give you a look that matches your image. Buy Bvlgari 6001B 20148G 61 15 sunglasses in an easy and safe way at the best price in our online store. string(135) "Buy Bvlgari 6001B 20148G 61 15 sunglasses. Modern and elegant model. Original product with fast shipping, quality guarantee and refund." string(26) "Bvlgari 6001B 20148G 61 15"
Sunglasses by the brand BULGARI for Women’s sunglasses, with reference S0009847, with a(n) Modern, Elegant, Glam and Female style.Bvlgari 6091B 20148G 61 17 they have a(n) Rimless frame made of Metal with a(n) Oval shape in Golden colour. Their size is 61mm and their bridge width is 17mm, with a total frame width of 78mm. They have Polycarbonate, Gray, Gradient lenses. These glasses aren't suitable for prescription lenses. These are top of the range glasses from the brand BULGARI, made of high-quality materials, modern glasses that will give you a look that matches your image. Buy Bvlgari 6091B 20148G 61 17 sunglasses in an easy and safe way at the best price in our online store. string(135) "Buy Bvlgari 6091B 20148G 61 17 sunglasses. Modern and elegant model. Original product with fast shipping, quality guarantee and refund." string(26) "Bvlgari 6091B 20148G 61 17"
Sunglasses by the brand BULGARI for Women’s sunglasses,  with reference S0009808, with a(n) Modern, Elegant, Glam and Female style.Bvlgari 6109 20134Z 62 16 they have a(n) Rimless frame made of Metal with a(n) Square shape in Golden colour. Their size is 57mm and their bridge width is 17mm, with a total frame width of 74mm. They have Polycarbonate, Golden, Gradient lenses. These glasses aren't suitable for prescription lenses. These are top of the range glasses from the brand BULGARI, made of high-quality materials, modern glasses that will give you a look that matches your image. Buy Bvlgari 6109 20134Z 62 16 sunglasses in an easy and safe way at the best price in our online store. string(134) "Buy Bvlgari 6109 20134Z 62 16 sunglasses. Modern and elegant model. Original product with fast shipping, quality guarantee and refund." string(25) "Bvlgari 6109 20134Z 62 16"